threw some small jars at the end of last week and turned them on the weekend…small cactus pots or spoon jars… love using my BatMate (soft chamoix like material) to anchor the pot to the wheelhead just enough to get purchase with a turning tool…its only a light trimming needed! having broken my right femur in a fall in early January with resulting bionic woman type of metal rod inserted to hold it together, bottoms have been feauturing in my daily activities. Its tricky to sit in certain positions, and the wheel is especially interesting….so my description of throwing is ‘half arsed’… balancing on the edge of my stool makes it possible to work!! 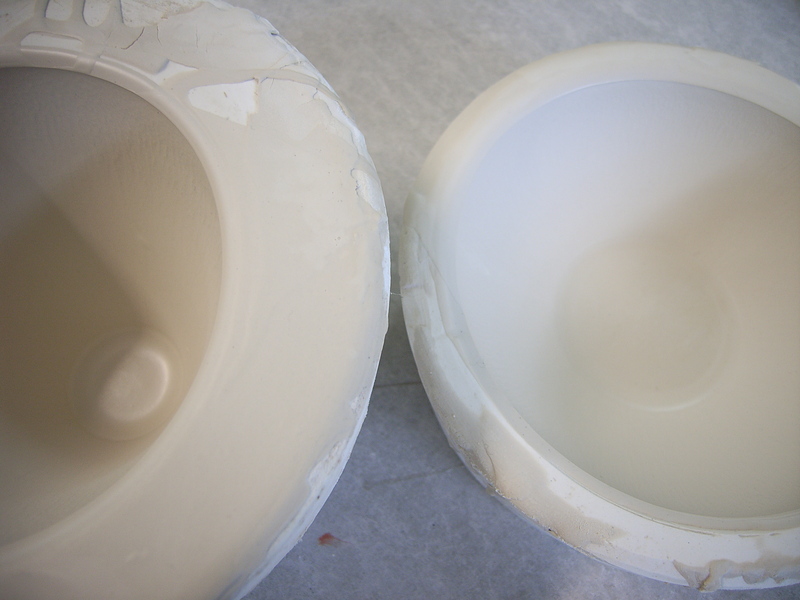 when I was a student we worked with hand building and throwing forms…slipcasting was not on the menu! almost considered ‘uncreative’ …. having played some years ago with slip for tiles, discovered some slip left in the bucket under the bench and have been fun playing with these little shapes from a closing studio!